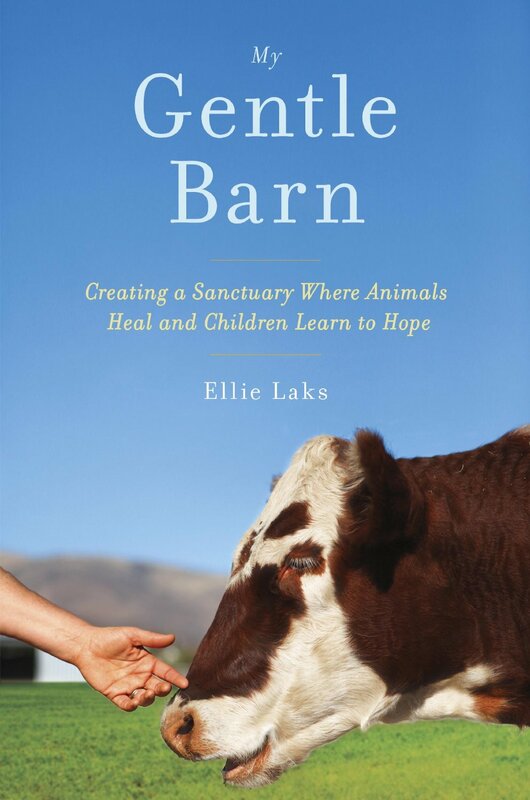 Ellie Laks, author of the just released book “My Gentle Barn,” tells us how the plea of a sick goat at a petting zoo was the catalyst for how The Gentle Barn Sanctuary came to be. The Gentle Barn was my dream since I was 7 years old. I was always bringing stray animals home and my parents would take them away saying that when I grow up I could have as many animals as I wanted. I now have 170 animals! The Gentle Barn started after adopting a sick goat from a run-down petting zoo in 1999. I was driving down the street and I saw a petting zoo I had never seen before. Because there were so many animals there I parked and went in for a look. The scene there was gruesome! There was so much neglect there and the animals were in bad shape. I ran for the door as fast as I could, but not before I spotted a goat who had overgrown toenails, tumors growing from her legs, a huge pregnant looking belly, and very sad eyes that looked right into mine and begged for help. As I looked back at her and heard her plea, my heart swelled wide open and I knew I was bringing home a goat. The owner refused to give her to me right away, but I stayed at the petting zoo for 12 days and finally she allowed me to take her home and nurse her back to health. 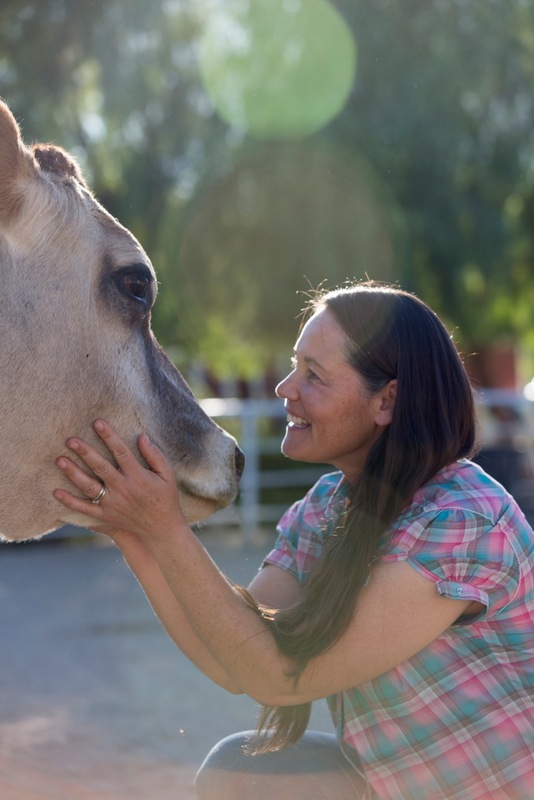 Breathing the life back into Mary was the first step of starting The Gentle Barn. It felt so great to be able to help her that I went back to the zoo for more animals that needed help. Soon I had a yard full of animals that I healed and I realized that I had started The Gentle Barn and there was no turning back. Learning how to care for horses, cows, goats, sheep, pigs, turkeys, chickens, llamas, peacocks, dogs, cats, donkeys and parrots was hard. Learning to establish a nonprofit and stay afloat financially was even harder. We went through some very hard years of wondering where the next bale of hay was going to come from and how we were going to pay the vet bills. We had to learn how to receive and to have faith. Over the last 15 years, I have gone through really hard times personally. But I have experienced many miracles that made it all worth it. I have watched animals leave their bodies and take their last breath, as I told them how much I love them. I have been there to see animals come into the world. I have been a part of helping animals who had no hope or joy, ignite and be alive again. 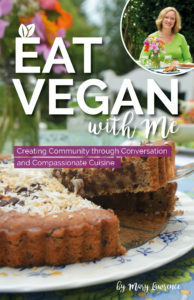 Today, I am living my dream of working with animals and people to create a more compassionate world. I wrote My Gentle Barn because I wanted to show that it is possible to overcome self-doubt, loneliness, fear, and hardship to make your dreams come true, no matter how far off they might seem. I want you to meet all of my babies—the feathered, furry friends who I have saved and who have saved me in return. For anyone who has been to the Gentle Barn, and for everyone who hasn’t, I hope that my story can inspire and empower you to have faith through the hard times and reach for your dreams, like I did. Ellie Laks was born in Israel and raised in The United States. She has always loved animals and from the time she could walk, she was out in nature playing with animals. As soon as she was an adult, Ellie started a dog training, walking, boarding and grooming business that she used as a means to rescue animals from being put down at the animal shelter. Over the several years that Ellie did this, she successfully placed over 500 animals into loving, forever homes. 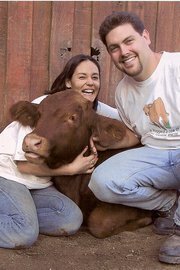 Ellie was attracted to the old, sick, lame or scared animals that were often times not adoptable, so in 1999 Ellie founded The Gentle Barn Foundation, home to severely abused and neglected animals that no one else wants. She came up with a special healing process that allows old, sick, injured and terrified animals to recover using a mixture of Western medicine and holistic healing modalities as well as nutritional products, holding therapy and lots of love. The Gentle Barn is now home to over 170 animals in Santa Clarita, California. Once healed and happy, the animals help Ellie heal at risk, inner city and special needs children who have the same stories as the animals. Ellie lives on the property with her husband and their 3 children. 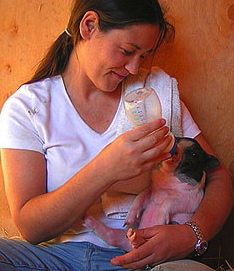 Her husband Jay Weiner works at The Gentle Barn with her and together they get to see miracles every day. It is their goal to build Gentle Barns around the world. So beautiful and inspiring….this resonates with me totally….my dream also. Saving animals, who then rescue children and adults. Thank you.